In an effort to make sure DD doesn't deteriorate over the summer, she will be working on some lessons. We went to our local Barnes and Noble to find some workbooks she likes. She picked out a Summer Links book that includes Math, Reading, and Test Prep and I was planning on that being the only thing she was going to work on, but she found an American History workbook that she wanted, so we purchased that as well. She absolutely loves History, so who am I to say no? In fact, we got a membership to our History Society so we can visit various museums and sites throughout the summer. She's so excited! So, before anyone thinks I'm being all harsh-like over her summer vacation, the first 4 items take her a half hour total (minus the 20 minutes of reading). Islamic Studies takes the longest, and she knew that we'd spend time on this over the summer because a) she doesn't have her weekend Islamic studies over the summer and b) the curriculum I just signed her up for this year is quite advanced, so she is a couple grades behind their expectation and we want to catch up. With that said, here's the breakdown of ad-Duha. For anyone interested in an Islamic Studies curriculum for their kids, I highly recommend ad-Duha! Each one of these items is a lesson, and like I said, we will do 1-2 lessons each day, depending on time available. Qur'an: Read 15 minutes of Qur'an every day. Qur'an lesson is reviewing memorized surahs and learning new ones. Adi'yaa: Learn various supplications such as leaving the home, Ayat ul-Kursi, entering the masjid, etc. I'm expecting that we will work on these things roughly 4 days a week, but it being summer, we aren't super strict on it. I want to enjoy the summer and be outside (in the mornings, before it gets HOT) and enjoy time with friends before we get back into school and a stricter schedule. InshaAllah this summer will be highly enjoyable for both of us. Wow! How inspiring. I should look into that for my children and do the same. I read your comment and I do believe that we have crossed paths on tti. Yes, I am ashamed to say that I was still twirling and singing the same sad song and dance. I doubt there are few who haven't heard-not something I am proud of by the way. I opened my blog exactly a year ago to write and express myself after something very horrible happened...I thought that I would come to heal and find solace in my blogging about it, but the opposite happened. There were times I did, but for the most part it just kept me in the same spot and I was growing inside. I decided to take a break...gather my senses. I don't want to write about it anymore...I don't want to talk about either. It should have never been made public..my duty as a wife is to guard this and I failed miserably. 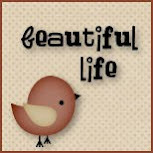 This is my life-the life Allah gave me and when I stop to reflect upon it, I am blessed beyond imagination alhamdulilah. I will return soon to blog...I love writing and I love my followers(especially Ms Pretty above me ;) ) but when I return, I will have the same attitude I once had. I've been spending a lot of time learning and reading more. I feel I am in a better place emotionally, physically and spiritually alhamdulilah. I have really been enjoying your comments on her blog...I am learning. I feel drawn to you and a sense of wanting to know and ask more and more-you seem so knowledgeable mashaAllah-and certainly someone that could help with some questions. Thank you for stopping by my blog..it is bare now-I have removed almost every single post(there were very many) and saved them to my drafts. Please stop by on occasion...I may soon start up again. Thank you so much for your sweet compliments. I only try to portray the knowledge I have been blessed with as I don't think there's any greater responsibility than to share what we have... whether it is physical things or not. InshaAllah I speak truth and if not, inshaAllah I will be guided to the truth. wow mashaAllah, you're doing a great job sis! inshaallah you both will have a wonderful summer!